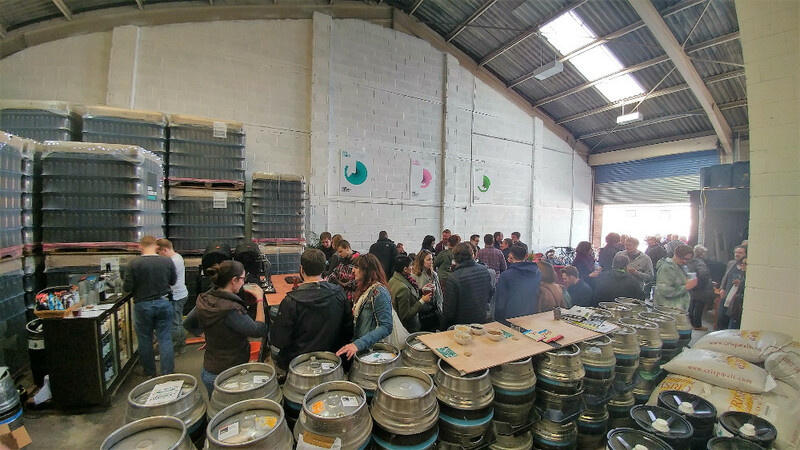 The first May bank holiday saw the first ever East Bristol Brewery Trail, and we had so much fun! A massive thank you to everyone who came out to visit us and the other four breweries. Whether you arrived at one and stayed there (the weather wasn’t the kindest was it!) or made it round all five and entered your fully-stamped card into the prize draw, we hope you enjoyed it too. It was great for us to welcome you to GCHQ for the first time. We moved in here in August last year, and back then it was a dingy, dirty, big, bare open space. As you would have seen last weekend, not only have we filled it with all the *stuff* that goes into making a 10bbl brewery a reality, but we’ve also worked really hard to freshen it up inside and make it look and feel a whole lot nicer than when we arrived. We were in part inspired by some of the taprooms and breweries we visited in New Zealand at the start of last year. If you weren’t able to join us over the weekend – you missed out! The range of breweries involved meant we had a really good mix of visitors. From those who’ve bought all our bottles and enjoyed our beers in the pub, to some who had never heard of us before, we met loads of great people. There was a really positive atmosphere at GCHQ all weekend. We may not be as established as some of our neighbours but we tried really hard to make our brewery a fun and comfy place to be. We hope you enjoyed your time with us. 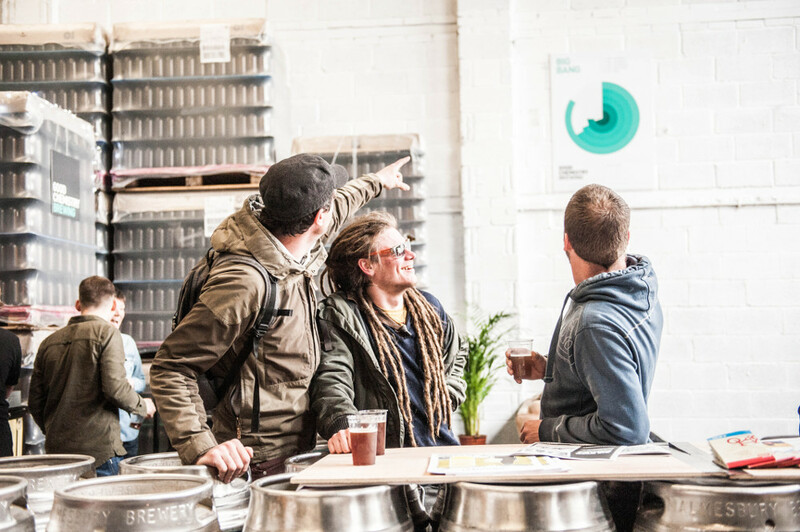 And whether you came and hung out with us all day last weekend, or couldn’t get here at all, you’ll soon have more opportunities to come and drink our beer on a sofa with the sweet sounds of our resident DJs to nod your head to. 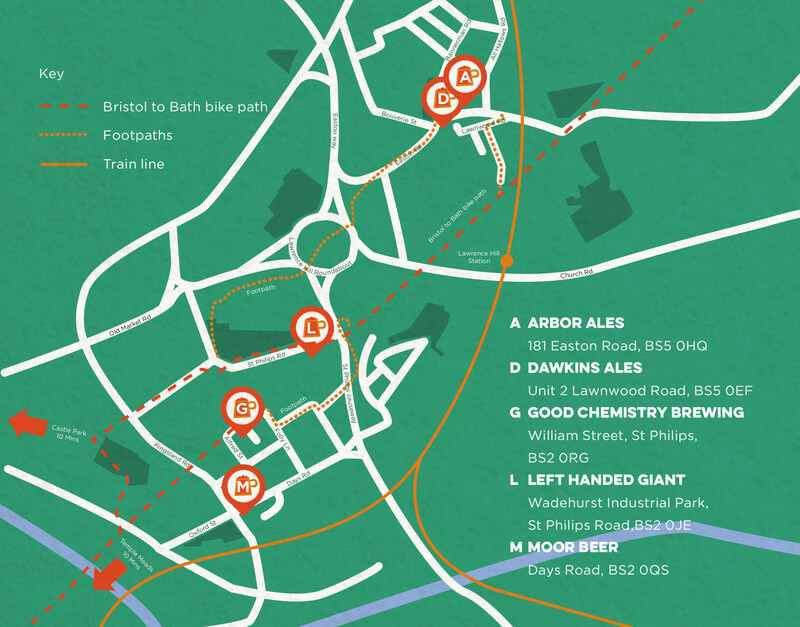 We’re already planning the next East Bristol Brewery Trail with our fellow brewers, as well as our very own Good Chemistry events to keep the summer looking lively. Keep an eye on here as well as our facebook and twitter for more details. We look forward to throwing up those shutters and welcoming you once again – cheers! Check out the next post for our gallery of the weekend.